Click here for more information on getting a library card, and remember that you need to provide two forms of identification when you apply: Current photo identification that shows your birth date and an additional form of address verification that shows your name, address, and a date within the past 90 days–such as a utility bill. Bring those documents to the Circulation Desk at the front of the library at any time during our operating hours. We now automatically renew eligible items. However, if you would still like to manually renew your items, follow these steps: Sign into your library account from the OWL catalog page, click “My Account” at the top right of the screen, and then click the “Checkouts” tab. From there, select any items you wish to renew, and then click the “renew” button at the top or bottom of the list. You can also call the Circulation desk at 423-434-4455. After searching for an item in the OWL catalog, click the “Place Hold” button corresponding to the item you wish to reserve. Click the button again in the pop-up to finalize the hold. You can also call the relevant service desk for the type of item you’re requesting: For youth items, call 423-434-4458, or for adult and teen items, call 423-434-4454. New users are limited to two items at a time. Regular users can borrow up to four DVDs, four audiobooks, or 10 music albums. The total item limit per checkout is 40 items. Only eight DVDs may be checked out by a family at one time. When are story times/other events? We have a variety of story times available each week. 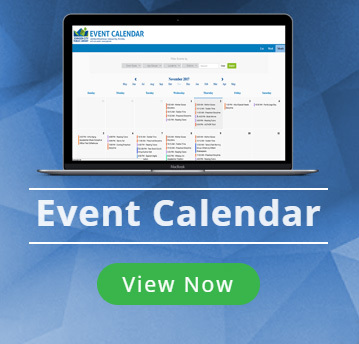 Visit our interactive events calendar for more information on events for every age. How do I request a new item? Click here for more information about requesting an item, or call the relevant service desk for the type of item you’re requesting: For youth items, call 423-434-4458, or for adult and teen items, call 423-434-4454. How much does it cost to print/copy/scan/fax? Click here for more information about our computer center and public technology. Printing and copying costs $0.15 per black & white page, $0.50 per color page. Each printer and copier has a bill/coin machine to pay for your print job. Faxing costs $1.75 for the first page and $1.00 per each additional page faxed within the US, Canada, and the Caribbean. Faxing is handled through a third-party service and requires a credit or debit card to pay. 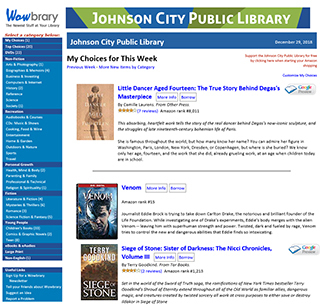 How do I use Mobile Print at the Johnson City Public Library? Visit print.jcpl.org to log into your account and upload materials. You will still need to visit the library in order to finalize your print job. Click here for our full instructions on using Mobile Print, or call us at 423-434-4454 for help. Where is the handicap entrance? Our handicap entrance is on the side of the building opposite Roan street, at the door marked “Food Service.” Please ring the doorbell when you reach the door so someone can assist you. Where are your book drops? We have an outside book drop accessible 24/7 in our parking lot on the side of the building opposite Roan street. Our inside book drop is past the Circulation desk to your left as you enter the building. We currently have no remote book drop locations. Where is the computer center/the copier/the printer? Click here for a full set of floor maps for the library. We have copiers available on both floors of the library. The Youth area computer center is only available for children and adults with children to use, and is located on the first floor, next to the Youth Services desk. The Adult computer center is available to anyone, and is located on the second floor, next to the Information desk. Where is a study room/a quiet area? Study rooms are available on a first-come, first-serve basis next to the Information desk on the second floor. The Tennessee Room is another designated quiet area, also located on the second floor. Due to the large number of patrons that visit the library on a daily basis, we cannot guarantee that the library will be silent. Newspapers are available in the Polly Peterson room on the first floor, to your right as you enter the library. Current issues are located on the spinning rack, with the current month’s back issues located under the window seat facing the front of the library. For back issues of the Johnson City Press, ask at the Information desk on the second floor. No, we do not currently offer notary services. How do I reserve the meeting room? For more information on the library’s meeting rooms, or to apply to use the meeting rooms, click here. Can I advertise on your digital sign? We accept submissions of posters for upcoming community events for inclusion on our digital signs. Please be advised that there are restrictions on the type of event we can post, and that all posters are subject to library approval. Visit www.jcpl.org/promotions to submit your event’s poster and for more information on eligible events.